You are here: Home / Recipes / Creamed Chili Corn! 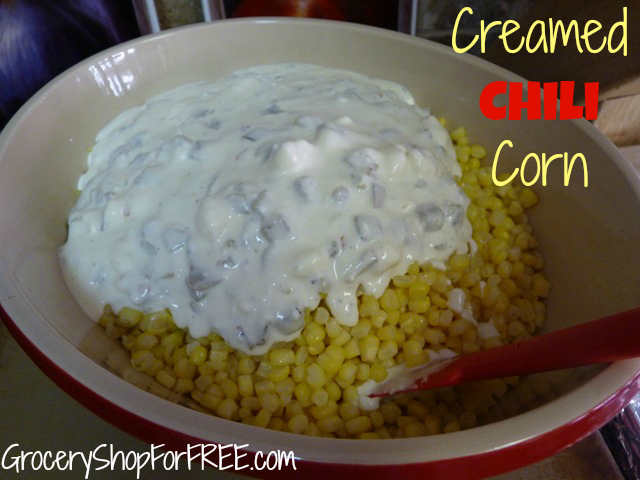 Susan is back with another great recipe: Creamed Chili Corn! I thought I would post something very simple this week for a couple of reasons. First…who feels like cooking after all the holiday feasts. But second…it is a favorite that my family has made all my life. I only took one photo and not even one of the finished product but, I think you can get the picture. Melt the butter and heat the cream cheese in a bowl for about a minute. Add the chili peppers and pour mixture over the corn. Mix all together and bake at 350 degrees for 30 minutes. How easy is that? Even though it is so simple, everyone always loves it. 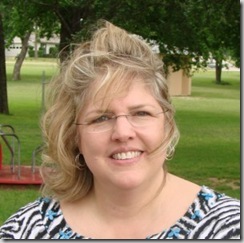 Hi, my name is Susan Merritt and I have only been blogging for a few months but I love it. Permanent Posies (Creative Chaos)is the name of my blog and my subject matter is…well, that depends on the day and the mood. But, for the most part, I love cooking, watching the Food Network, reading cookbooks and, of course, eating. I am also an artist and spend time each week in my studio (bedroom) oil painting. I am a mother of four and a grandmother to 5 and that, along with my husband and 2 dogs, take up my most of my time. I am a side-tracked Home Executive and I had the privilege of being a stay –at-home mom so, you might say that my passion is the home and making a haven for those I love. I am quite skilled at shopping 🙂 and finding a bargain just makes my day. I guess that is why I love Grocery Shop For Free. Soon we shall post on the same day lol! If I stay away from the videos, I am better. I don’t know why it causes me so much grief but I post it early and then it doesn’t appear. Its annoying. Oh well, I posted one today and its a simple sauce.